HAVANA, Aug 16 2010 (IPS) - “I still view corruption as an extraordinary danger” to the country, as its “corrosive power” makes it a matter of “national security,” said Esteban Morales, who was expelled from the Cuban Communist Party (PCC) after publishing an article warning of its pervasive effects. Morales has appealed to the PCC, in accordance with his rights under the statutes of the ruling party, which is the only political party recognised in Cuba. “A commission has to analyse the appeal and make a decision. If I am not satisfied with the decision, I can take the case as far as the party congress. I will continue to appeal, because I think I have good reasons to do so,” he told IPS in this interview. 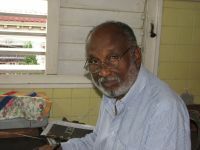 Meanwhile he remains “very active” as an academic and researcher, although he will retire in September from the teaching staff at the Centre for the Study of the Hemisphere and the United States (CEHSEU) at the University of Havana, which he helped to found and to which he has devoted a large part of his professional life. “I’m retiring at 68. I’ll have more time and freedom for my academic work and research,” said Morales, who holds doctorates in science and economics and is an expert on Cuba-U.S. relations, as well as the author of essays, books and numerous articles on the equally sensitive subject of racism in his country. Q: Since your separation from the PCC was made public, you have preferred to avoid contact with the press, especially foreign journalists. What made you change your mind and agree to this interview? A: I think it is salutary to clear up certain points. Some people have said I was a privileged person, a security (secret service) agent, and now I wish to say this: No one will ever unearth any privileges of mine, because I have none. As for being a security agent, if I were, I would be proud of it, because in Cuba that is an honour. My curriculum vitae is what speaks for me. I am a true academic, not an invented one. I have written dozens of works, not always on straightforward subjects, as well as doing a lot of teaching, lecturing at conferences and acting as an academic adviser. If anyone has any doubts, they need only enter my name into Google. Others have taken delight in the idea that I might change sides and go over to the “dissidents.” Perhaps the counter-revolution, lacking as they are in leadership, thought that I could fill that gap for them. But people who really know me, know that that’s impossible, and that I’m a firmly committed, tenacious revolutionary. Furthermore, I have never had any pretensions to leadership or sought to be the centre of attention. Q: Have you never wavered in your political convictions? A: No, never. Even the sun has its sunspots; different evaluations are always possible. I may have given room to mistaken interpretations, although the spirit of the things I have written is clear, and they clearly come from a revolutionary position. I was a revolutionary before I was a party activist, and I will continue to be one. I decided my political stance over 50 years ago, and it was my free choice. I have never liked to play the lying game. I am not paralysed by what has happened. I will simply be much more careful about how I express myself and what I write, but I won’t stop doing it. I’m an intellectual whom the revolution has trained to warn honestly about things that can damage us, and that is what I have always done. These are the risks one just has to run. Q: Doesn’t the fact of your punishment, after you publicly expressed your views on corruption and the risks it poses for the country’s political and social stability, contradict President Raúl Castro himself, who said Aug. 1 that unity “is nurtured and harvested within the broadest possible socialist democracy and in open discussion of every issue, however sensitive, with the people”? A: I believe debate and criticism are being encouraged by Raúl and the party leadership. But there may be circumstances in which someone at some level does not quite agree. I must say that exercising a critical approach is much more complex than the mere decision to do so. It has to do with the structures, the personalities and the different understandings people sometimes have of things. Or perhaps part of what I said could have been said in a different way. There’s a big gap between intentions and the way they are put into practice. Q: What do you think is most worrying about corruption? A: Its corrosive effect from the moral perspective. When morality and ethics are affected, the prestige of our political system is undermined and everything goes downhill. That’s why I agree with those who say corruption is a national security problem. However, it won’t be solved just through more inspections and paperwork, but by being on the alert and creating mechanisms to prevent it, so that people who handle money and resources are constantly held accountable. Our country’s assets really do belong to the people, it’s not just talk. Q: You are very well known for your work on the United States and its relations with Cuba, and on racism. What prompted you to write about corruption, an issue that, according to some government sectors, encourages campaigns to discredit the country if ventilated in public? A: I wrote those articles because I believe these are the problems we are facing now. I have a motto: in the context of what we have lived through over all these years, I think whoever wants to be a revolutionary has to wage his own war, fight his own battles and run whatever risks there are. Otherwise he should just stay home and hide under the bed. The claim that the enemy will take advantage of an open discussion of corruption does not immobilise me either, because it isn’t the enemy that is going to solve the problem for us: quite the contrary. I am one of those who think that sometimes it is healthier for us to recognise our shortcomings ourselves, than for the enemy to fling them back in our teeth, or save them up against us, which would be worse. Q: Who are you referring to when you say “enemy”? A: We cannot close our eyes to the fact that since the late 1980s, the focus of U.S. policy towards Cuba has changed. Nowadays, everything that is happening internally on the island is being observed and monitored by U.S. politicians and especially by the United States’ special services. It is against this backdrop that I view the problem of corruption, which I still see as an extraordinary danger.